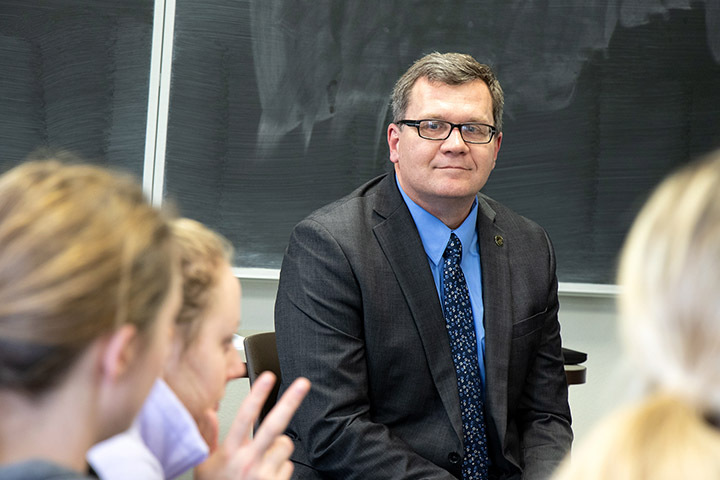 La Crosse Mayor Tim Kabat was a guest in Josh Lichty’s Education 311 Social Studies Methods class Nov. 28. Kabat shared his thoughts on the importance of social studies education for the future of La Crosse and the national and global community. It was a social studies teacher who inspired him to make a difference in politics. He also expressed his admiration for teachers and stressed the important responsibility the students will have as educators.